Oui means Yes in French. When added to Please, it means Yes Please for French Beauty. Beauty sampling in the form of monthly subscriptions is very big business. There are hair, beauty, fashion and accessory boxes for every imaginable interest, price point and location. An example of a popular box for naturally textured people is curlbox (www.curlbox.com). One of the earliest beauty boxes on the US scene was Birchbox (www.birchbox.com/shop/birchbox-1) which disrupted the traditional monthly gift box subscription business. Now the French have thrown their box into the monthly subscription ring. 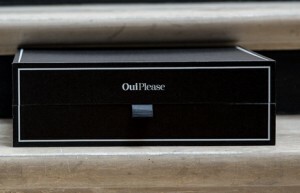 Their new box called OuiPlease ups the ante on luxury membership services. Although the box, which lands on your doorstep might be considered a little spendy at $150 per month, the box is valued at over $400. Parisian-born founder Jessica Barouche promises to deliver a collection of French clothing, jewelry, accessories, beauty products and even gourmet treats which will knock your socks off. Ms. Barouche’s new OuiPlease box also may include some home goods. Each OuiPlease box will be based around 11 full-sized products with a French-inspired theme. The assortment will include a range of products with at least one selection from clothing (scarf, sweatshirt, T-shirt), beauty products, jewelry (a bracelet, ring, necklace—designer and fine jewelry too), accessories (a journal, passport case, leather clutch, etc.,) home products (candle, scented stones, teaspoons) and epicure (that will be something like truffle salt, olive oil, or extra-special baked goods). Sign up now for membership and you’ll receive your first box on or about December 15th in plenty of time for Christmas. Yes, you can re-gift some of the items or use them for stocking stuffers. If you love everything French, the new OuiPlease subscription service could be a dream come true.